If you've ever wondered about the early years of a president of the United States, you might find fascinating answers by a visit to President William Jefferson Clinton Birthplace Home National Historic Site. In Hope, Arkansas, you can connect with President Clinton's early years and the people and places that helped shape his outlook on life. William Jefferson Blythe III (as he was then known) was born on August 19, 1946 at Julia Chester Hospital in Hope. His mother, Virginia Cassidy Blythe, was still grieving for her husband, who died in an automobile accident three months before their son's birth. She remained in her parent’s home at 117 South Hervey Street and planned for a bright future for her son. Young Bill Blythe spent his first four years in this home with his mother and maternal grandparents, Edith and Eldridge Cassidy. His family nurtured him and instilled in him a sense of optimism, while watching him grow into the man who eventually would become President William Jefferson Clinton—the nation's 42nd president. Today President Clinton's home is one of seven national park sites in Arkansas and one of the nearly 400 national parks throughout the United States. President Clinton attended the formal dedication ceremony on April 16, 2011. 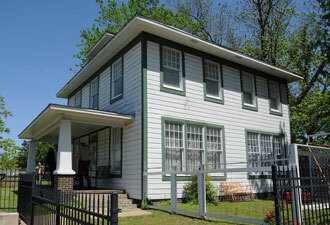 In this house, President Clinton learned many of the early lessons that defined his life and his presidency. 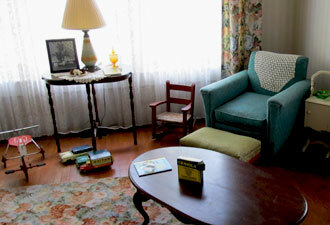 Step back into the late 1940s and see the place where a president first learned to walk and spent his first birthday. 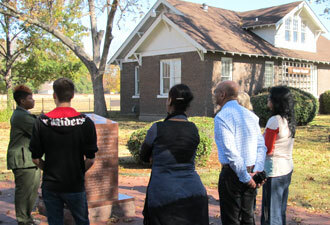 Your visit begins at the site's visitor center located in a neighboring home. Park rangers lead tours every half hour. The visitor center is open daily from 9 am to 4:30 pm. It is closed Thanksgiving, December 25, and January 1. Come visit!